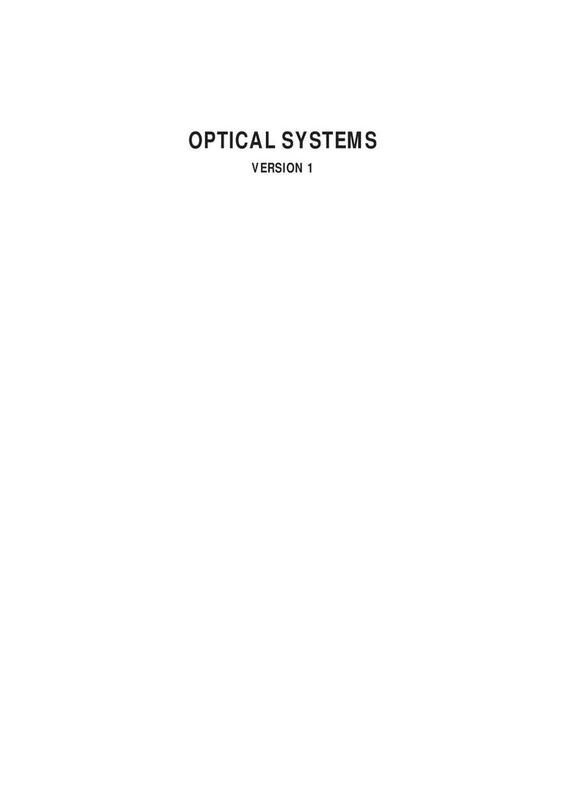 This publication, from the Technology Enhancement Programme (TEP) covers optics and optical principles which are used in a wide range of products and communication systems. These include, for example, measuring instruments, cameras, machine tools, video cameras, CD players and fibre-optic-based communication systems. A whole range of much simpler consumer products such as hand magnifiers, bicycle lamps, torches, mirrors and even party toys also use optical components. If these optical devices are to work properly, their designers need to know something about basic optical principles. This book is divided into four sections each of which opens with a brief explanation of how the relevant optical devices work. Each section then goes on to examine possible applications for them and to suggest design and make opportunities for optical products and systems.